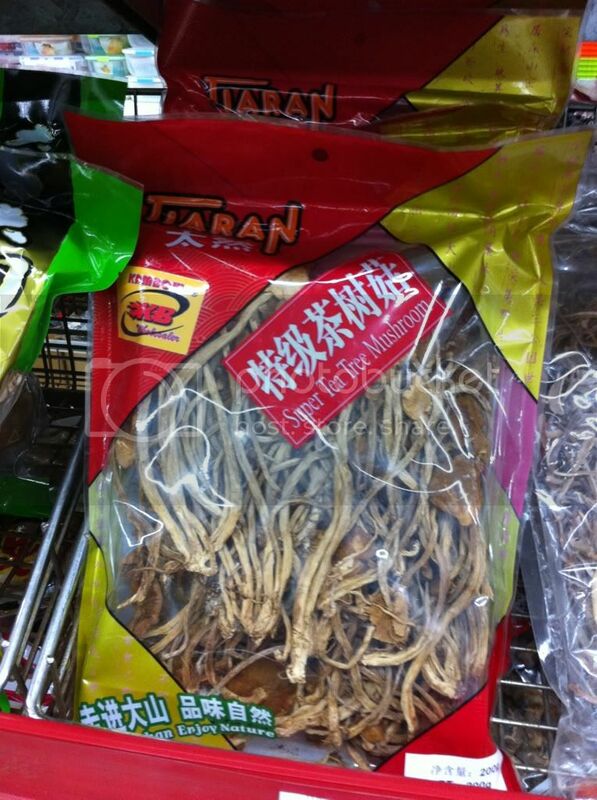 I was in my local asian supermarket, buying cable ties and PP containers when I saw these dried shrooms. So they literally have hundreds of different sizes and waits of shiitake. The also label some packets as Lentinula Edodes, but upon closer inspection the back says "Dried sliced bamboo shoot". Ummm...they aren't the same! It was bamboo by the way. But here are two that I have no idea about, anybody seen these before? 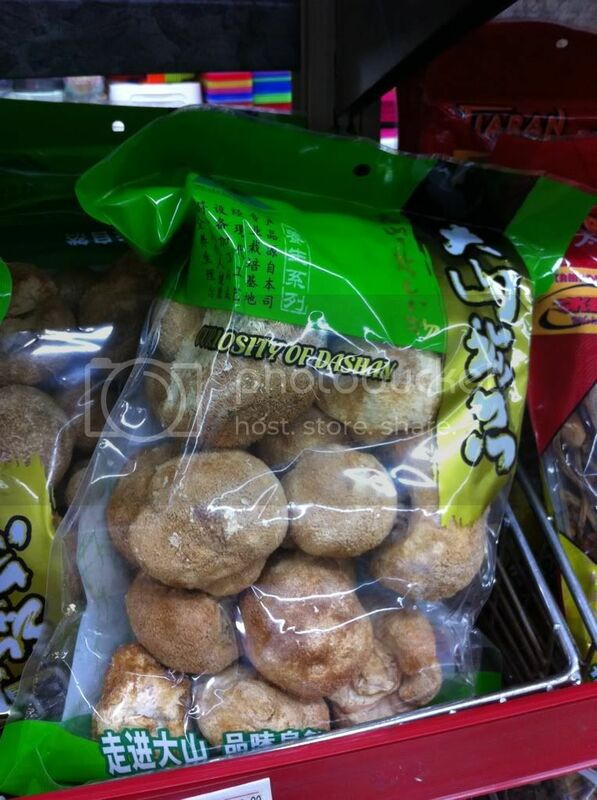 The import label says shiitake...I dunno about that! These ones are Tea Tree Mushroom, or Tree Tea Mushroom. not sure about the shitake but could the tea tree be dried enoki ...? I think i've just figured out why my favourite Tasti (sic.) nut bars (made in NZ) are so cheap. I suspect chinese nuts. ok the tea tree mushroom is: Agrocybe aegerita (chest nut/willow/Pioppino) the earthy tasting bugger! Agrocybe aegerita...fair enough. I've got some of those just coming to fruit now, although I doubt mine will get as leggy as those. Shiitake...well they were with all the other shiitake but they almost look toothed on top like a hericium. I'm not saying they are hericium they just have a very fibrous cap, unlike all the other shiitake that were around them.